As a cleaning and restoration business you have probably heard of Search Engine Optimizations (SEO). What you may be wondering is why SEO is so powerful. That is where Spot On Solutions comes in. 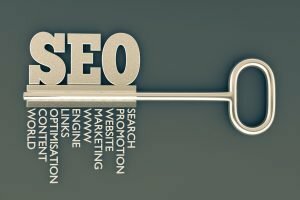 Spot On Solutions has compiled a list of 5 reasons why SEO is so powerful and why your cleaning and restoration company should invest in it. This may come a surprise to you but SEO is not a cost but an investment. If done correctly SEO can provide high returns on your investment. Professional SEO companies will tie your SEO to your web analytic data, keeping track of all your keywords and understanding when it is necessary to increase your budget and when your strategy needs to be adjusted to increase your conversion rates. Cheap SEO services can often do more harm than good. Unfortunately, cheap SEO companies usually take advantage of the lack of SEO knowledge you may possess, and can often end up costing you more in the long run. Low cost SEO often comes with many pitfalls, including pitfalls that can cost your cleaning and restoration company thousands of dollars in marketing repairs. Spot On Solutions specialized in SEO for cleaning and restoration companies and offers high quality SEO marketing services that will increase your bottom line. We don’t use shade tactics or cut corners to achieve superficial and unreliable results. If you’re a cleaning and restoration company you have probably invested some money into printing business cards and marketing brochures. Before those marketing materials went to print you probably spent some time proof-reading those cards and brochures to prevent any mistakes or maybe you had someone else review them for you. Did you do the same thing with your website when you launched it? Would you order all of that print material just put it on a hidden shelve in the supply closet? Of course you wouldn’t. By avoiding SEO, that is exactly what you are doing with that website of yours. Your website is one of thousands of cleaning and restoration websites out there on the internet. Your website can be viewed by thousands of potential prospects and ideal clients, if it can be found. Your website is your digital billboard, when you forego SEO you are placing that billboard out in the dessert where no one can see it. When you hire an SEO professional, like Spot On Solutions, you are placing your digital billboard next to the digital highway. SEO professionals will make sure your website gets put on the right highway and is seen by the right audience – getting you qualified leads and converting those leads in sales. If done right, SEO will make your brand stronger and well recognized. Your goal should be that when people search for keywords and phrases that are relevant to your cleaning and restoration company, they find you at the top of the search results. Most people have that mentality that if a business is on top the search results they must be the best. “Just Google it,” is a phrase we hear all of the time. When your potential clients “Google it” and you’re there, at the top of the results page, it will go a long way in boosting your credibility. SEO places you where your customers are. Keep in mind that being on the top of a search engine results page is only a piece of a larger marketing puzzle. You need more. You have to understand what your potential clients need, how to speak their language and how to present a solution to them. Once you do your credibility with your potential clients will skyrocket. So now you may know that SEO is a wonderful marketing tool that can bring in prospects and boost conversions. But, SEO is not the only marketing tool you should be using. Creating the right mix of marketing methods can help you reach your highest marketing potential. Social media, branding, and other marketing strategies will fit well with SEO and the right combination can strengthen and reinforce your marketing plan, allowing your cleaning and restoration business to reach your goal faster. Spot On Solutions offers professional SEO services that will build a strong marketing foundation for your cleaning and restoration company. Our cost effective SEO strategies are expertly implemented and managed for high-returns that will help your cleaning and restoration company reach your overall business goal. Spot On Solutions believes in providing high quality SEO services that bring in long lasting results. Our professionals have extensive knowledge when it comes to the technical side of SEO and are able to put themselves in our clients shoes, getting a better understanding on how Spot On Solutions can provide the best results for each individual client.